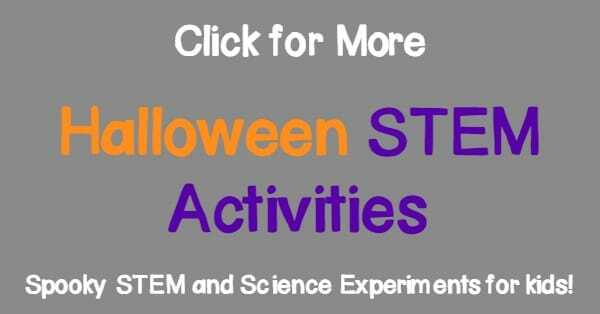 We love STEM activities for kids, and making them holiday-themed is even more fun. We turned a classic salt crystals science project into a spooky-themed science project by making our shapes witch-themed. The kids loved this science experiment and it has been one of their favorite STEM activities so far. 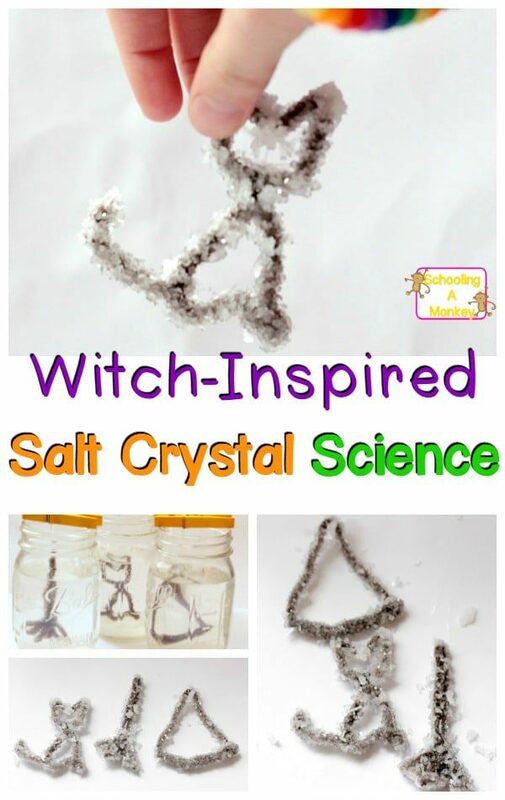 If you love science AND you love Halloween, you’ll love this witch-inspired take on the classic salt crystals science project! 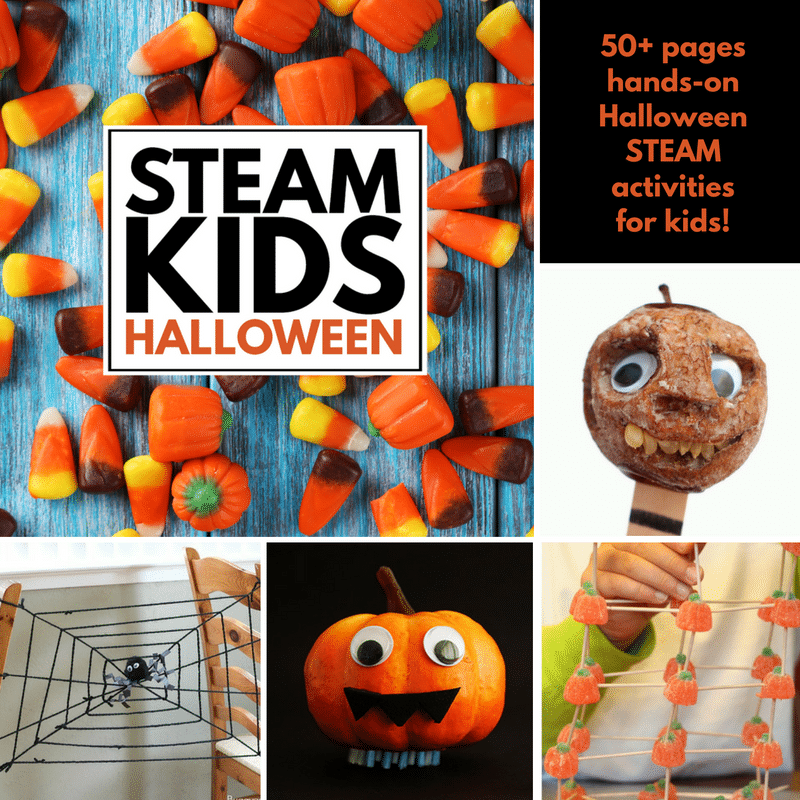 Kids love simple Halloween science experiment and STEM activities like these! In 24 hours, you can make your very own spooky salt crystal designs. 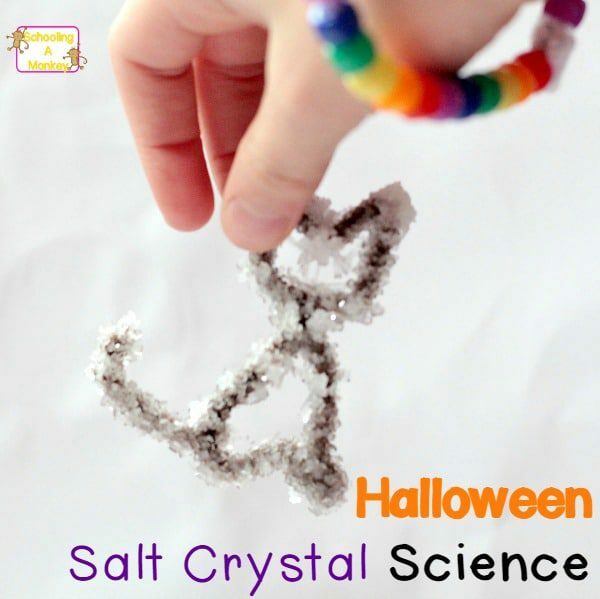 Use our project as a jumping off point to make dozens of your own salt crystal Halloween shapes! Affiliate links included for your convenience. 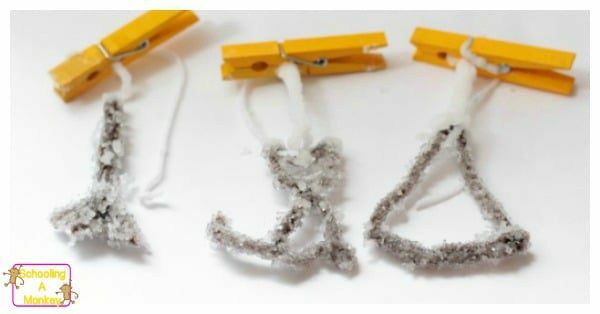 We first shaped our pipe cleaners into our witchy shapes. We made a hat, a broom, and a cat. Tie a piece of yarn around the top of each shape. 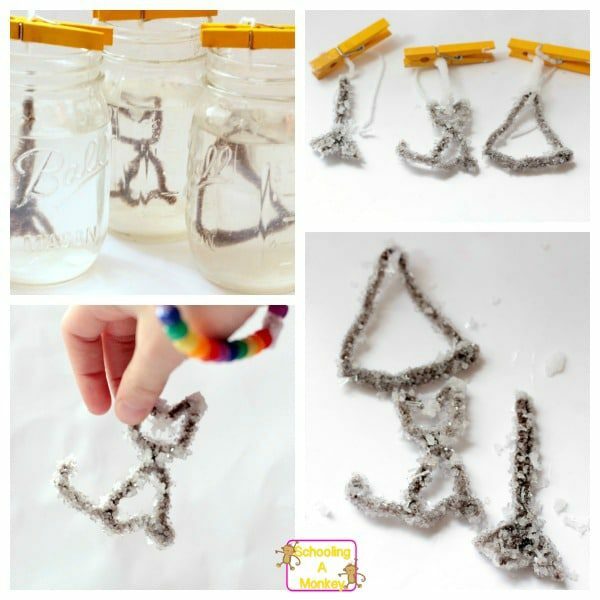 Suspend it from the mason jar so that it can hang freely without touching the bottom or the sides. Pin a clothespin in this spot and lay the clothespin over the top of the jar, suspending the shape. Boil about 3-4 cups of water on the stove. When the water boils, add as much salt as can mix in. We ended up using almost a whole container of salt, but we did have some that would not dissolve, so my guess is about half of a salt container is enough for three mason jars. Fill your jars with saltwater. If you don’t have enough water to cover the shapes, dissolve some more salt into hot water and add that so that all shapes are completely covered. Place your jars in a sunny location for about three days. After three days, your shapes will be completely covered in salt crystals! Amazing! Salt is originally in crystal form. Salt will always take on a square shape when the molecules bond. The salt will continue to build and make bigger square shapes as time goes by. 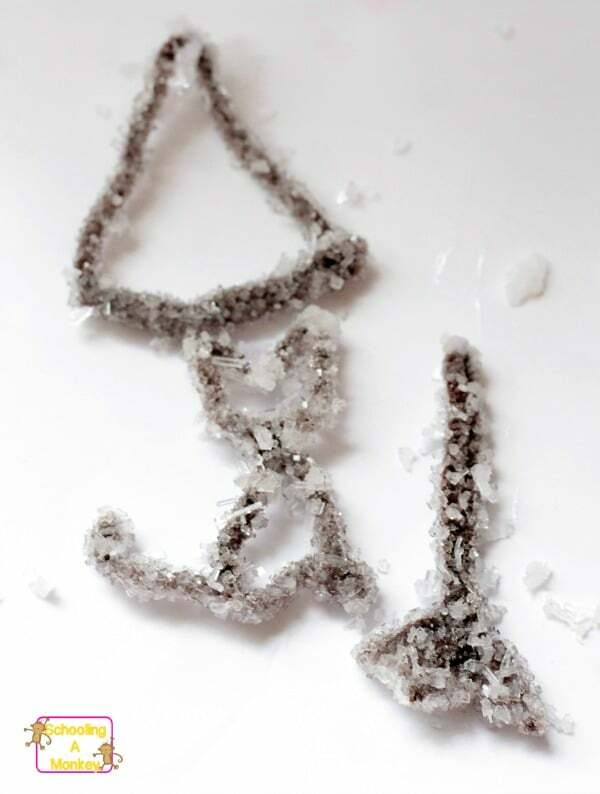 As the water evaporates, the salt molecules cling to the pipe cleaner, forming large salt crystals. « Edible Pitri Dish Bacteria: Bacteria You Won’t Regret Eating!